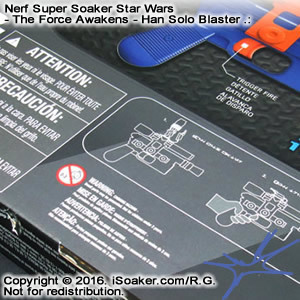 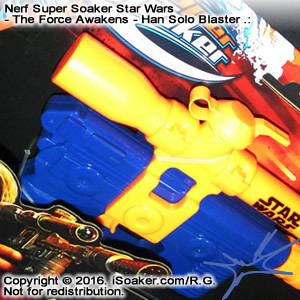 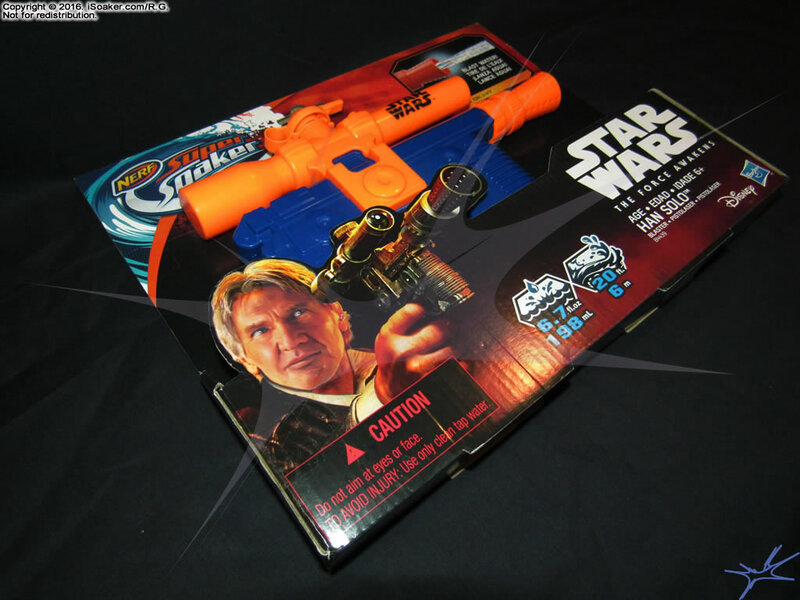 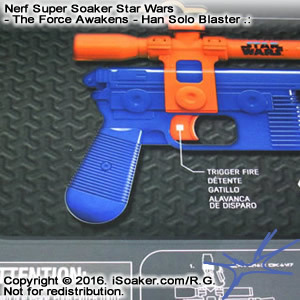 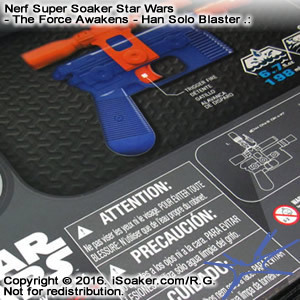 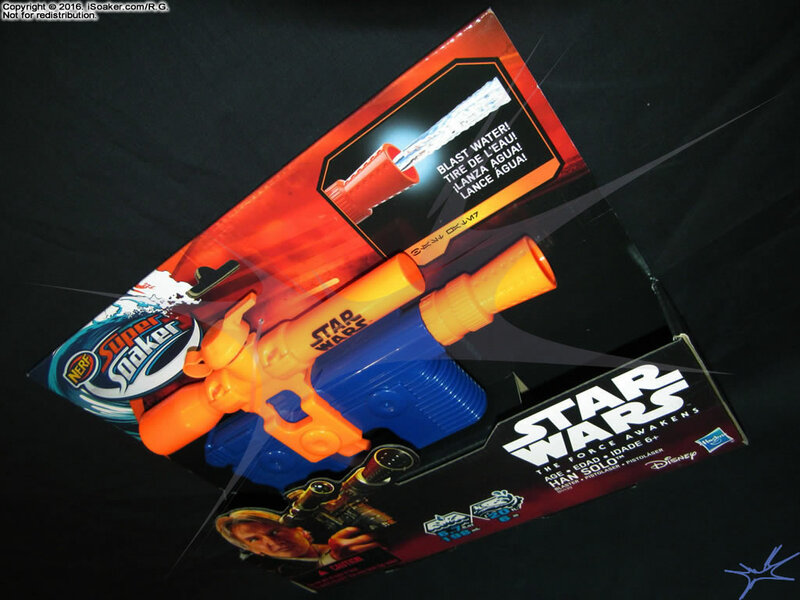 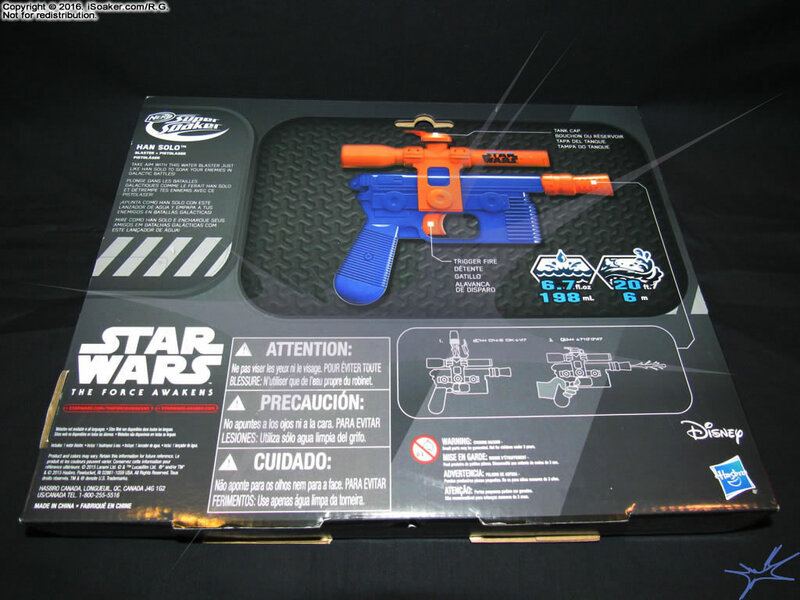 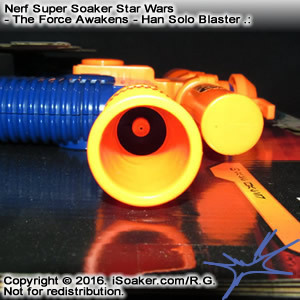 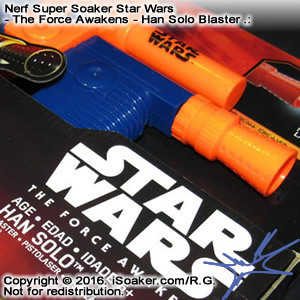 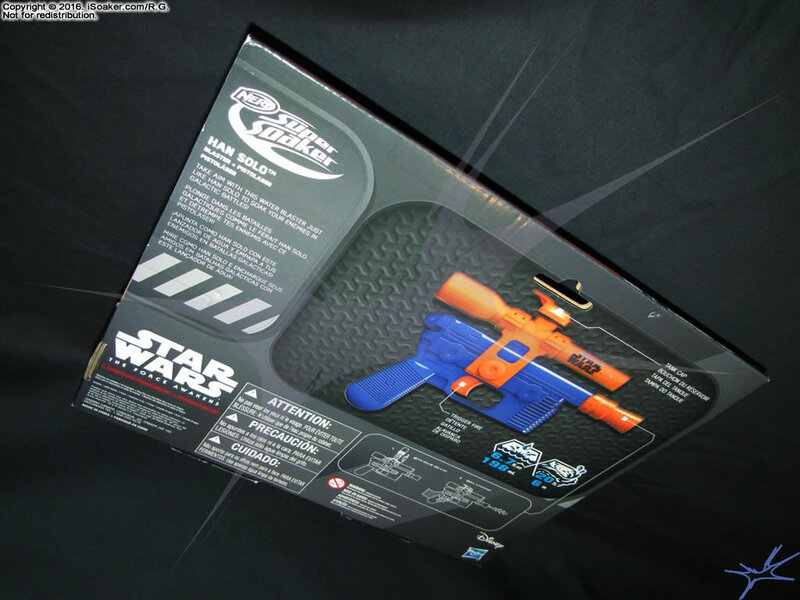 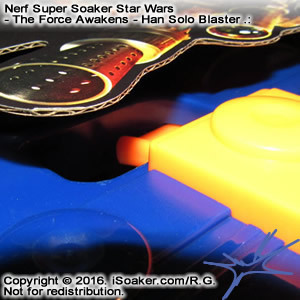 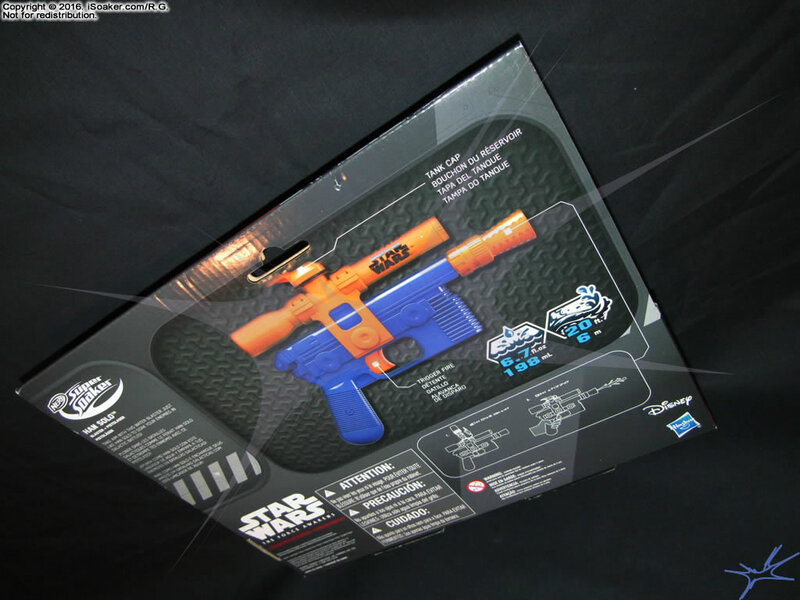 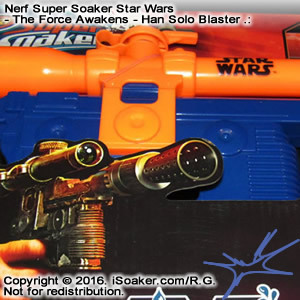 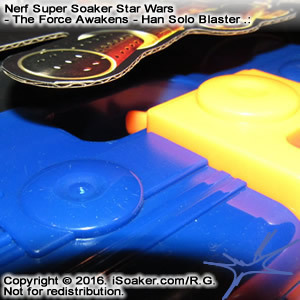 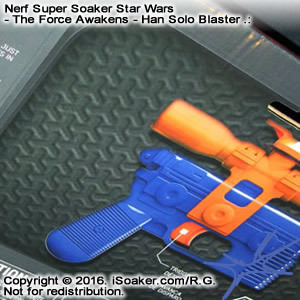 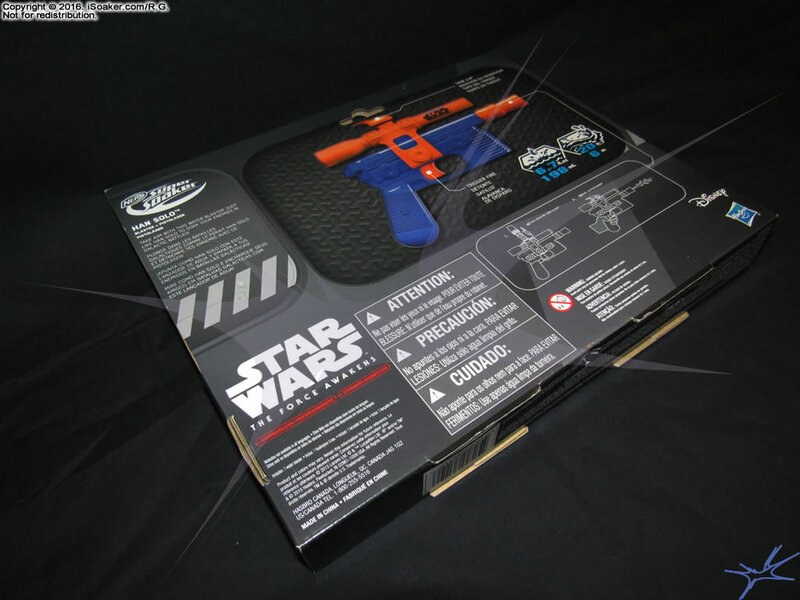 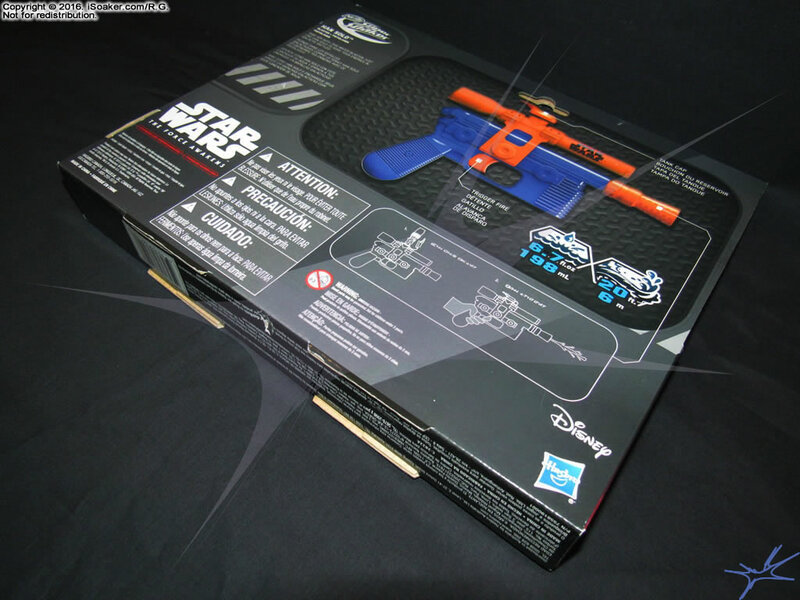 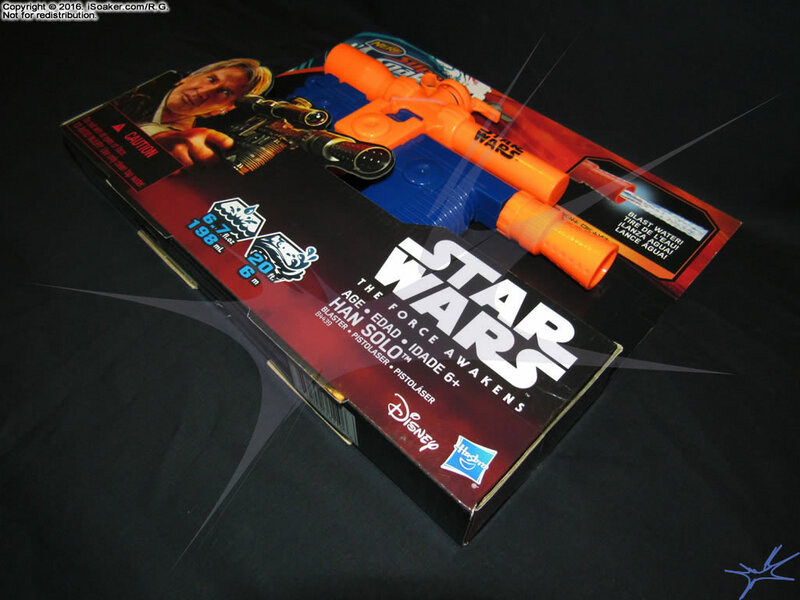 The Nerf Super Soaker Star Wars - The Force Awakens - Han Solo Blaster is one of three Star Wars: The Force Awakens-themed water blasters released by Hasbro Inc. for 2016. 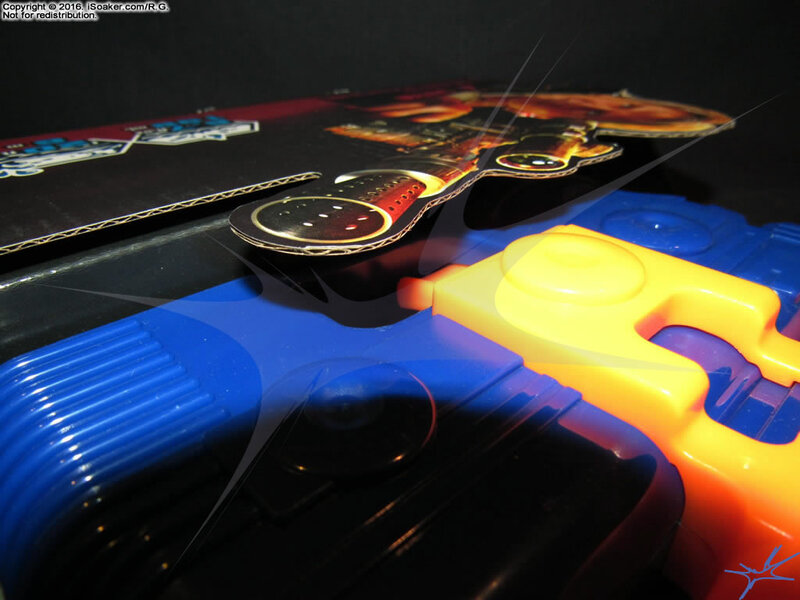 It has a single nozzle inset rather deeply within the false outer nozzle. 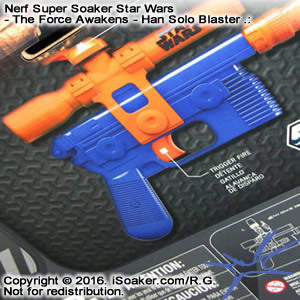 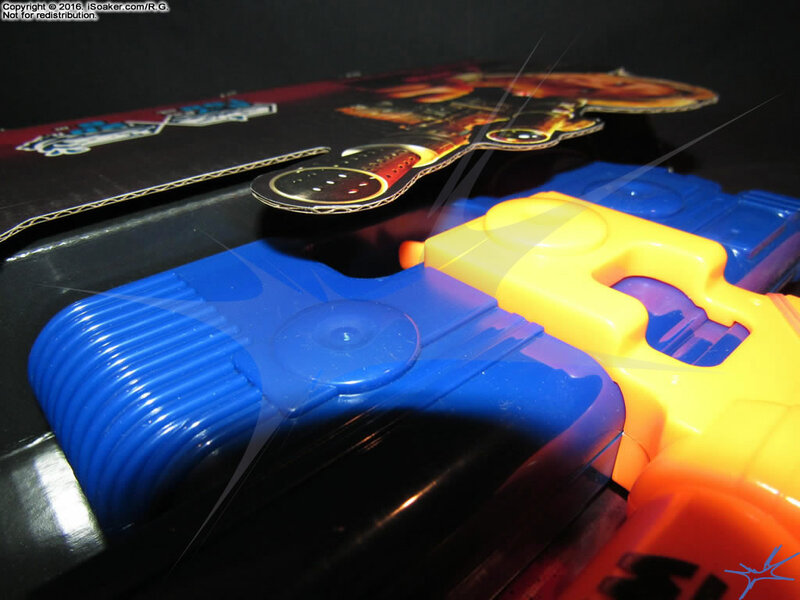 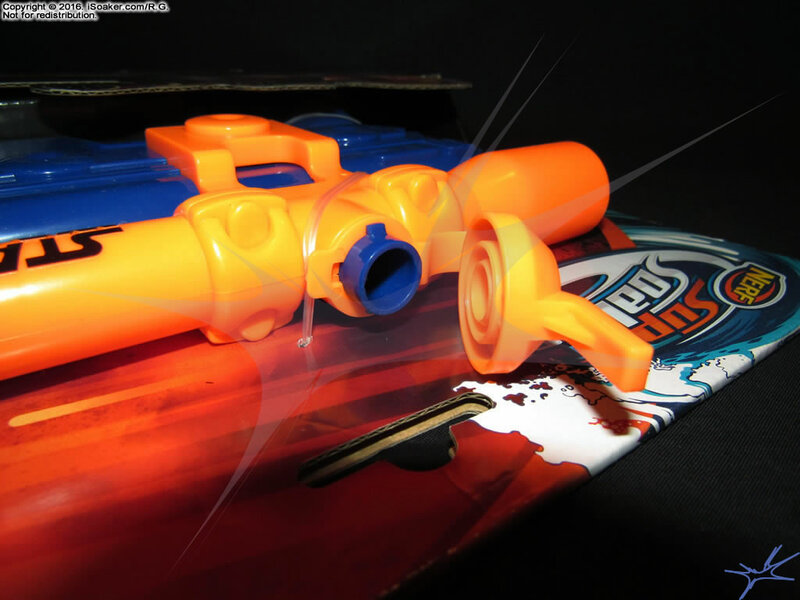 The trigger is the pump, meaning this water blaster pushes rather low amounts of water per blast. 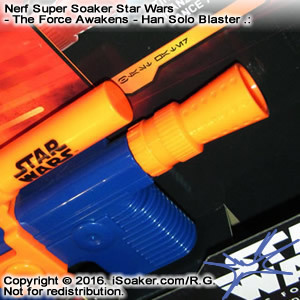 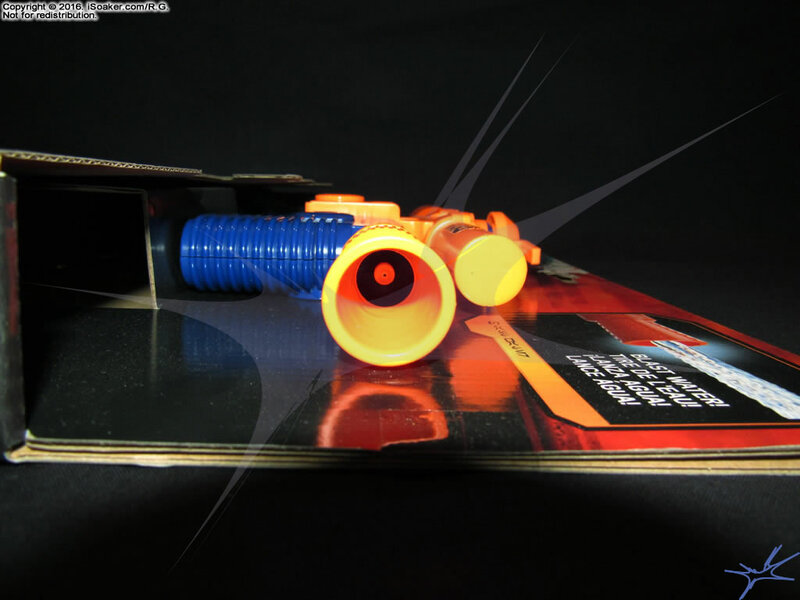 Styled after the blaster Han Solo uses in Star Wars:The Force Awakens, this item is more for role-playing as opposed to being useful for a water fight. 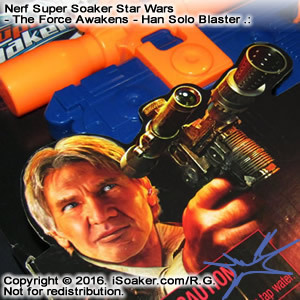 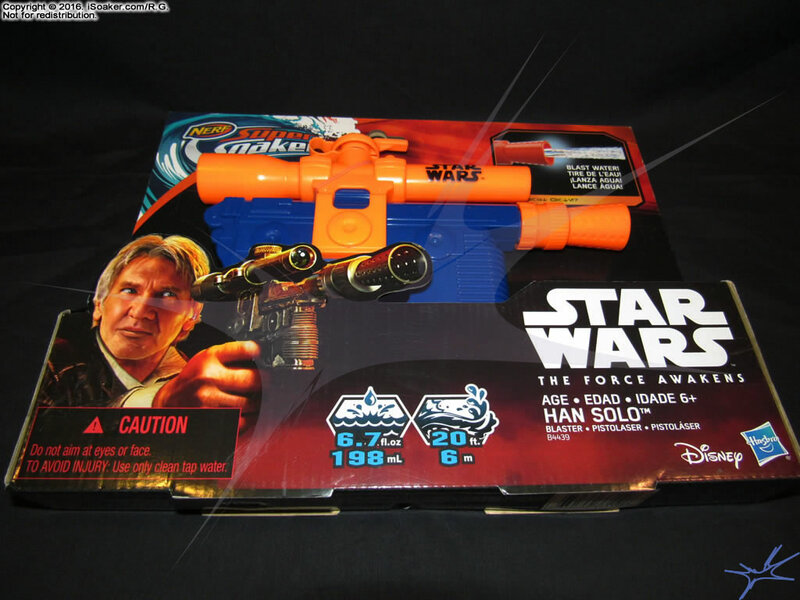 Of course, this water blaster version of Han Solo's iconic blaster is not coloured accurately and its scope-shaped piece is actually part of its reservoir (not a scope). 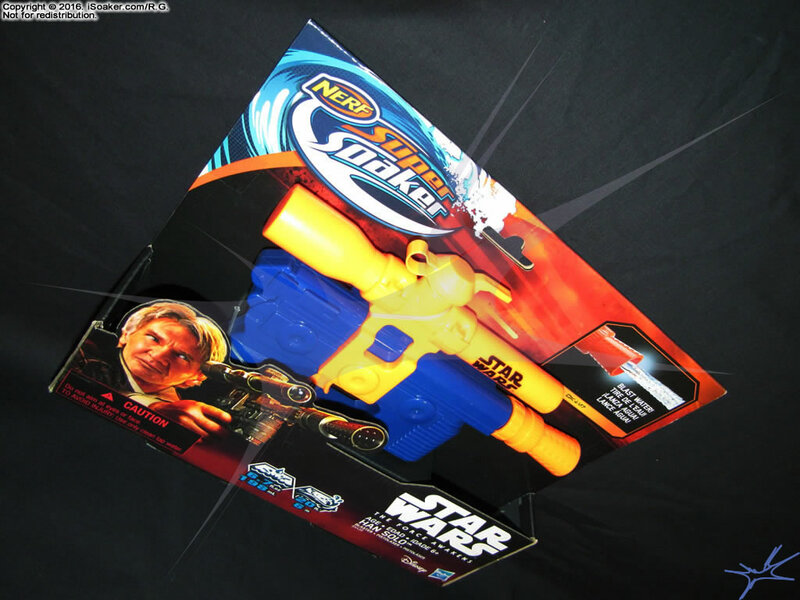 As such, at present, this item is being left in its packaging and not further tested.